Designed to be a bridge between a high chair and an adult chair, youth chairs from Brandenberry come in different styles. 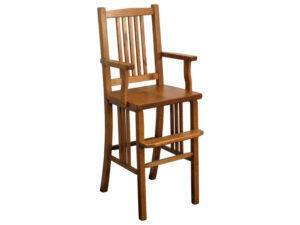 So you can match a wooden kids chair to your dining room furnishings. 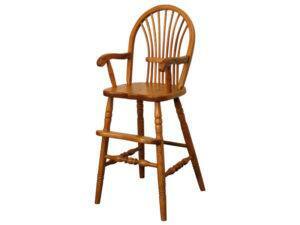 Plus, Amish artisans handcraft each chair for sauperior sturdiness, dependability and long life. The Acorn Youth Chair boasts a stunning ‘walnut’ wood engraving and an elegant style. 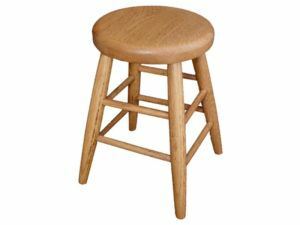 Well-built and durable, this mini bar stool is a great addition to an activity table or for your little one’s friends at their tea party. Sturdy wood slats and a classic design highlight the Mission Youth Chair. Beautiful sheaf slats accent the Sheaf Youth Chair. Fine turned legs and an elegant engraving highlight the Wheat Youth Chair. The Wrap Around Youth Chair with Footrest blends classic and modern styles. Help the kids in your household make a seamlessly transition from high chairs to adult chairs, with one of the youth chairs shown above from Brandenberry Amish Furniture. Welcome to the grownup table. At mealtimes, do you prop up your kids or grandkids with books so the munchkins can reach the table? 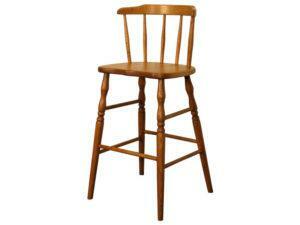 Or do the kids kneel in your dining room chairs so they can be eye-level with everyone else? With youth chairs, these practices are things of the past. Because the chairs are just the right size for post-high-chair kids to sit up at the table with the grownups. And even join in the adult table talk. Some of the youth chairs have built-in footrests for added comfort. Rugged construction. 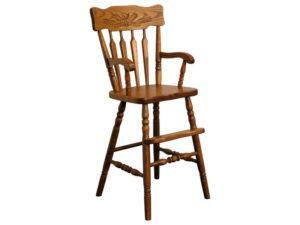 Skilled Amish cabinetmakers custom-build each chair. 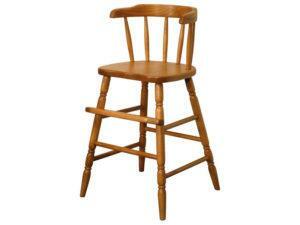 And they use top-quality hardwoods like cherry, maple, hickory and oak. 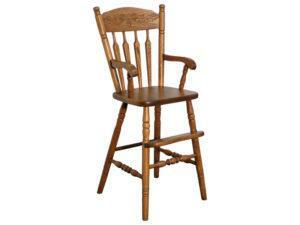 Plus, the Amish men build each chair in the same manner as they craft the adult chairs. So with proper care, the chair/s you choose should withstand the wear and tear children put them through for decades to come. Fully customizable. You can choose a youth chair as shown or unfinished. Or we can customize a chair for you. And you get to choose the wood specie, finish and other options. Also, you can choose a wraparound, sheaf, mission, acorn or wheat style youth chair and place it at your kitchen table or in a child’s room. What’s more, you can check out our youth chairs in person by visiting our ‘brick and mortar’ store in Shipshewana, Indiana.